I am compelled to express my disgust at the determination of the Senate Judiciary Committee and the White House to ramrod through a Supreme Court (SCOTUS) nomination no matter what. While Brett Kavanaugh might meet some of the standards for a Justice, as far as his legal training and experience, there are other factors which weigh heavily with this nomination. 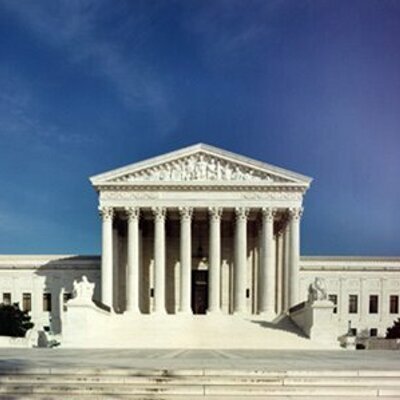 I am well aware that “elections have consequences,” so whomever the president is when a SCOTUS vacancy occurs has earned the right, by virtue of the votes of his/her fellow citizens, to nominate a person to fill the vacancy (unless, of course, you are President Barack Obama in the winter of 2016). There are so many things that are being done out of order now that undermine any façade of comity or cooperation, that we find ourselves in a constant state of toxic politics. I am concerned that our democracy is being sacrificed on the altar of political expediency and ideological purity. The virulent desperation of the “Christian right” to end access to legal abortion has emboldened some senators to abandon any pretense of “deliberation” in order to force this nomination upon the nation before the upcoming elections, no matter what. I am especially troubled that some women would dismiss, out-of-hand, a complaint about sexual assault or harassment from other women just because it is ideologically inconvenient. Surely there must be some other potential SCOTUS nominees who would desire to overturn Roe as fervently as Kavanaugh, but without his baggage. While I expect, but don’t excuse, that cognitive dissonance from men in positions of power, I expect better from women. For some senators to earnestly assert their “sympathy” that Dr. Ford was assaulted, but to also assert that she has mis-remembered who assaulted her is insulting and laughable. This is not about ideology nor the usual bloviations about “right” and “left.” This is fundamentally about human decency and respecting the claims of women about the abuses they have faced, whether there were eye witnesses to it or not (such as with the accusers of jailed comedian Bill Cosby. I’m just sayin’…) One has to wonder what the daughters and granddaughters of some US Senators think about their father/grandfather’s politically dismissive attitudes toward sexual assault. This obsession over abortion overlooks a few things. First, less than two percent of all the cases the SCOTUS hears will involve abortion. Second, even with the White House, both houses of Congress and a conservative majority on the SCOTUS, they will probably never end all access to legal abortion, because that would deprive some candidates of their go-to campaign issue every election season. I must note here that as a minister of the Gospel, I know and believe that all life is precious, but not just pre-born life! Some of the same people who are obsessed to end abortion and insist anything conceived must be born, no matter what, are also the people who oppose programs that would enhance the standard of living for the children once they have been born. How can one insist a child be born but then oppose AFDC and SNAP benefits, Head Start programs, health care for said children and free or affordable college or vocational education? These people are not Pro-Life, as they assert, they are Pro-Birth! After the baby is born, they’re on their own! I believe if we made the world more child (and parent) friendly, there would likely be a lot less abortions. Third, most of the political leadership, while manipulating the abortion issue to their own advantage, probably don’t really care that much about it, but are more concerned with the other 98 to 99 percent of the rulings the SCOTUS makes. And many of those rulings from a “conservative” (i.e., corporate and pro-business) court will lead to negative outcomes for most Americans, such as, rulings made asserting that corporations deserve the same rights as people. The court makes many more rulings that damage our nation concerning the burgeoning security and police state in America, employer/employee disputes, the environment, voter suppression and gerrymandering and any number of other matters that are of greater concern to many Americans. This is about a lifetime appointment to our highest court. Irrespective of how long it may take, we have to get this right – no matter what! Submitted by Rev. Stephen A. Tillett, Pastor of Asbury Broadneck UMC, Annapolis, MD, President of the Anne Arundel County, Maryland Branch NAACP and author of Stop Falling for the Okeydoke: How the Lie of “Race” Continues to Undermine Our Country (www.StopFallingForTheOkeydoke.com).